Over the decades, billions of euros have been poured into community water access projects in East Africa by a variety of government and development agencies with the best of intentions. However, after a number of years, many of these water pumps (approximately 50% in East Africa) have fallen into disrepair due to a lack of spare parts and the local skills required to fix them. Now, as drought sweeps across the East Africa region, repairing these pumps is absolutely critical. The Vita Green Impact Fund will enable 320 communities, over 200,000 people, to source spare parts and learn to maintain their own water pumps. Already over 48 communities have renewed access to clean water and the rest will have access before the end of 2017. Dirty water needs to be boiled to make it safe to drink – clean water does not which saves wood from an already severely depleted resource. 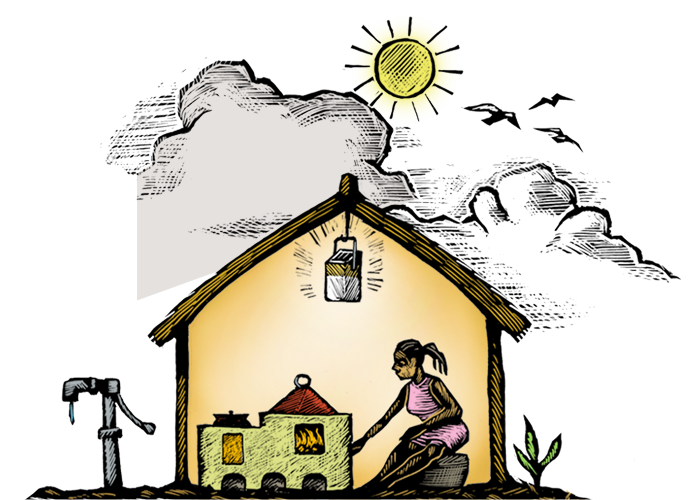 Community wells also has tremendous health benefits for families as there is a drastic reduction in water borne diseases because people are not drawing their drinking water from the same sources as those used by animals. But access to clean water has an impact beyond the health and environment of families, but also on their mental welfare and future prospects. In East Africa, women and children often lead lives of drudgery spending many hours every days fetching clean water and sticks. Access to local clean water means that women’s time can be used more effectively and children can concentrate more on their education and play.